How Does Tax Identity Theft Occur? Tax time is always an exciting time of year. It can be exciting in a good way, such as looking forward to your tax return. It can also be exciting in a scary way, if you’re concerned about filing your taxes properly or if you may be audited. What if you got everything ready, tried to file, and were told that a return has already been filed under your name? This is more common than you might think. How does tax identity theft occur? We will answer this question, give you some tips to help prevent it and let you know what to do if it happens. During tax season, tax identity theft is one of the most common forms of identity theft. Tax identity theft is when a criminal steals your information (specifically your Social Security number) and uses it to file a fraudulent tax return. This is done so that the thief can claim the victim’s tax return for themselves. The fraudulent refund can be obtained via mail or direct deposit. Tax ID theft is scary because it is difficult to detect. In most cases, you won’t know you’re a victim until you try and file your legitimate return. Unfortunately, there is no way to completely prevent any form of identity theft. However, there are ways to reduce the risk of it happening. File your tax return as early as possible. The faster you file, the less time criminals have to fraudulently file for you. Protect your personal information. Keep your Social Security card at home, unless you know you will need it that day and securely store your tax records. Never file your return using a public WiFi network. Only use a secure home WiFi connection to file your return electronically. 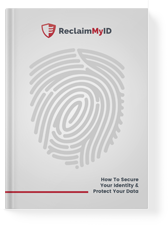 Register with an identity theft restoration service, such as ReclaimMyID, which will restore your identity should you become a victim. Use a firewall and anti-virus protection on your computer. Avoid opening e-mails, clicking links or opening attachments from unrecognized sources. Use strong passwords (at least 12 characters, a combination of uppercase and lowercase letters, numbers and special characters) for all logins. If you try and e-file your return and it is rejected due to a duplicate file under your Social Security Number, complete IRS Form 14039. Complete the form, print and attach to your return, then mail using the instructions. Review your credit report and contact financial institutions to close any fraudulent credit or financial accounts that were opened under your name. Tax season will always be exciting, but it doesn’t have to be terrifying or even potentially devastating. How does tax identity theft occur? We hope you have a strong grasp of how it can happen and what to do if you become a victim.